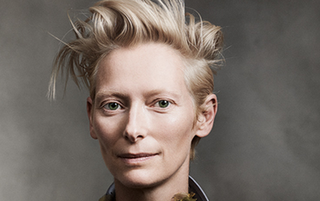 Gentleman's Quarterly has named Tilda Swinton its woman of the year, an inarguable choice. But because Swinton is an "unconventional" person, she commanded an "unconventional" magazine profile. Let's just say it's the first time in probably 20 years I've enjoyed reading about what a celebrity is eating during the interview, because it is haggis, and because she is forcing writer Zach Baron to have it with her. Baron responded, and received this autoreply: ""Hello, I am away until 01/01/2070 and am unable to read your message." She then sent him a photograph of Jim, aforementioned white hen. How it got to that point, in brief: Swinton is bored discussing her movies; Swinton drives Baron around the Scottish countryside, to Loch Ness; Swinton scolds Baron for taking copious photographs of his girlfriend and then showing them to her, even when they are "unflattering": ""You mustn't show her the photographs! They're for you, when you're away!" I was a professional gambler. When I lived in London, there were a couple of years when I didn't really earn money doing anything else. I mean, I did other things, like I made work, and I was working with Derek Jarman at the time, but the way I made money was putting money on horses." It's a weird romp full of gems like that; for a gauge on exactly how weird the romp got, at one point Baron believes that Swinton is telling him he needs to take a nap in her car, before he realizes she is talking to her dogs. Hey man, if Tilda says to nap, you nap. Read it in full at GQ.